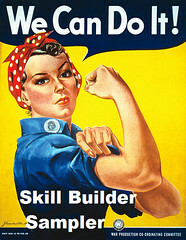 This is in response to campfollowerbaglady‘s Bushfire Quilt Project on Flickr. 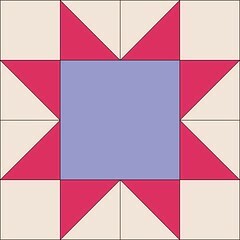 She’s collecting 12 1/2″ star blocks with light colored backgrounds that she will assemble into quilts for the people of Victoria, Australia, who are so tragically affected by the bush fires. Since her address is an APO, those of us from the United States can mail to her at a regular rate, not overseas rate. Please, if you have a few minutes to spare to put together a star quilt block or two, think about participating in this group. So if you’re looking for easy star blocks, here are a couple of simple patterns. 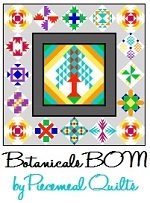 Also be sure to check out the next couple of patterns I posted here. Thank you all for your gifts of quilt blocks. The generosity of Quilters world wide never ceases to amaze me. I have just made a quilt each for two family friends who lost both their homes and pets in the resent victorian Australian, bush fires. These families thank all of you, very, very much. The blocks on this page are based on either a 3 grid or 4 grid. 10″ blocks generally work on a 5 grid. While it is possible to convert them, it means you’ll have very odd sized patches. You have a couple of options. First, you can make the 3 grid blocks so they finish at 9″, then add a 1/2″ background border all the way around. (The 4 grid blocks would finish at 8″ and you could add 1″ on each side.) 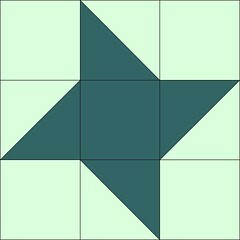 Second, you could just find a 5 grid star – there are a few available, including the Sister’s Choice block (I have a quilt using this block on the Patterns page.) Third, you can resize them and just deal with the odd sizes. 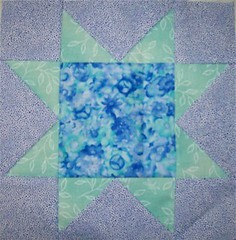 For 4 grid blocks (the Variable Star with Flying Geese) the measurements are easier. 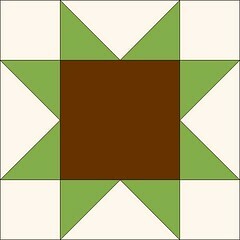 Cut your corner squares at 3″, your center at 5 1/2″, the flying geese large square at 6 1/4″ and the flying geese small squares at 3 3/8″. If you prefer the Half Square Triangle version, cut the HST squares at 3 1/2″ (or 4″ if you like a little more wiggle room), sew the HST units and trim to 3″.